These new Ty Chicago White Sox Beanie Ballz Large size 13" will make the perfect gift for any White Sox fan. 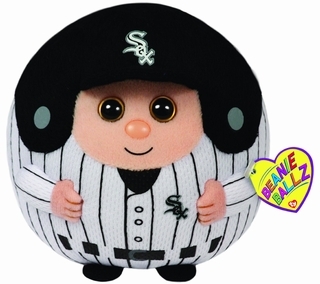 These cute cuddly collectible Baseball Beanie Ballz are handmade with the finest quality standards. They are Officially Licensed, made by Ty and the perfect complement to any collection.